Rochelle Perry had a very curious idea about a year ago after reading Lewis Carroll’s novels about Alice’s adventures in Wonderland and Through the Looking Glass. What would these characters say and do from a modern perspective. 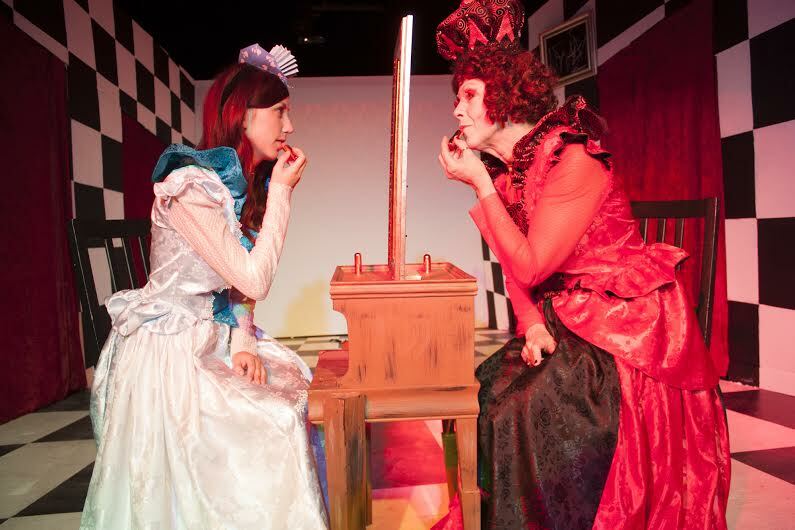 She soon involved other writers and the end result is Curious Conversations, eight short plays involving characters from the novels, receiving its World Premiere at North Hollywood’s Eclectic Company Theatre. Some of the playlets work better than others but all are short and mostly to the point. The evening runs less than two hours and there are a few gems to be found among the octet. Gabi Rodriguez’s The White Rose finds the Mad Hatter (a delirious Adrienne Pearson) and the Cheshire Cat (an enigmatic Diana Vaden) drinking tea and gossiping. Michael Maiello’s Looking Through the Glass is an existential exercise that looks in on Alice (Nicolette Shutty) on her wedding day to a tax collector. As she peers into the mirror the Red Queen (an excellent and devious Nathalie Blossom) engages her in some mind games and chess play while trying to convince her that life is more fun on her side of the looking glass. 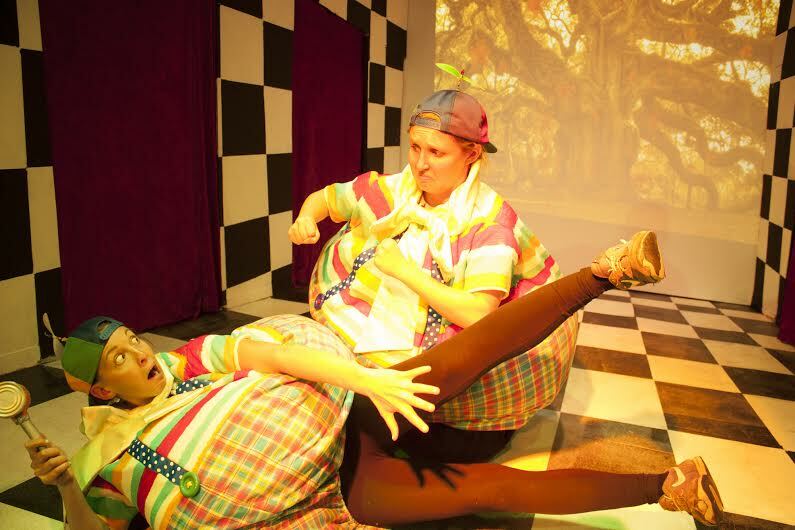 The comic highlight of the evening is Eric Duhon’s Meet the Tweedles as Tweedle Dee (Melanie Cruz) and Tweedle Dum (Merileigh Moen) engage in some wordplay and roughhousing as they rehearse a reading of a “tragedy”. Shane Labowitz’s inventive direction keeps the laughs coming fast and furious. Labowitz directed half of the playlets while Madelyne Heyman directed the other four. Suzie Heaton’s Hard Boiled Alice presents a film noir-ish Alice (Nicolette Shutty) who seeks out detective Sam Spade (a perfect reading by Tim Polzin) to discover the whereabouts of the White Rabbit and other inhabitants of Wonderland. Marni L.B. Troop’s Toke is a one-joke scene that while a good idea (a self-help group for caterpillars hooked on their hookah puffing) falls flat because of deadly pacing and lackluster performances. Natasha Troop’s Of Cabbages and Kings takes too long to set up as the Poet (Eugenie Trow) recites the tale of the Walrus (a masterfully stentorian reading by Polzin) and the Carpenter (Nate Werner bursting with innocent charm) and the unfortunate oysters they devoured. Once the characters arrive and the tale proceeds to a cannibalistic ending, fun ensues. 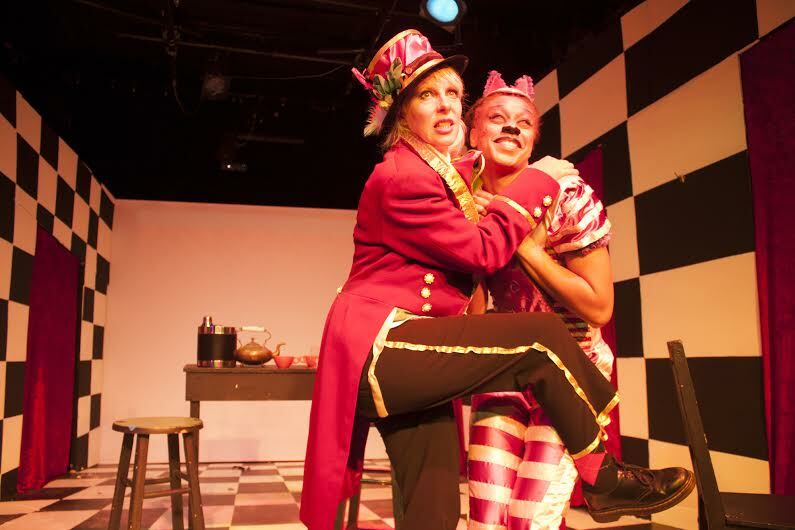 Perry’s own Quit While You’re A Head ends the evening as the Mad Hatter (the delightfully manic Pearson again) attempts to keep her head firmly on her shoulders when the Queen of Hearts (a towering Abby Gershuny) enters her shop. The Hatter has saved a few heads the Queen has lopped off (everyone is headless now in Wonderland except for the Queen and the Hatter) and uses them as mannequins to display her wares. It’s a macabre ending to an interesting evening. Natasha Troop’s set design features chess board patterned walls and floor and a series of ever diminishing doorways, but her lighting design is static and bland. 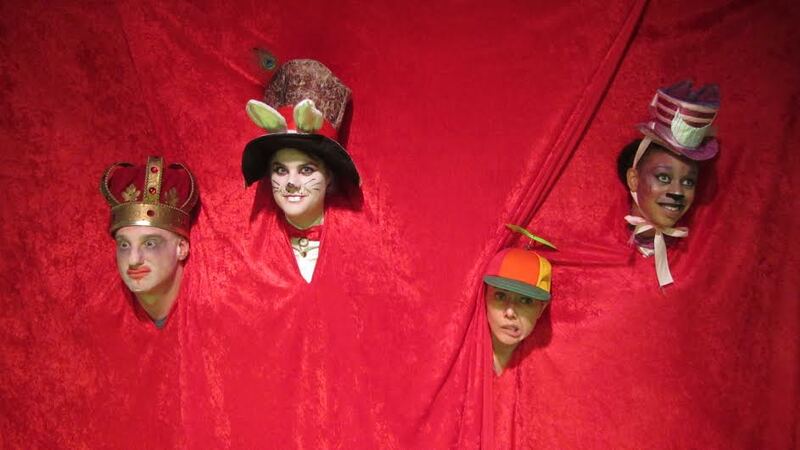 The real stars of the evening are the colorful and inventive costumes by Tsebahat Fiseha and Becky Van Cleve.